Hello?!!! Is there anybody there?! Although ‘Staycations’ are the new trend, many UK residents (including head hunters, recruiters and hiring managers) will have planned their August break long before the Brexit ‘fallout’, so there will be a bit of an exodus from the UK as usual during August, not to mention many other country’s residents that enjoy a summer break before the big business performance push toward the final few months of the year. There’s another trend, probably not as noticed as major annual holiday trends, which is that of savvy job seeking executives spending August getting their ‘ducks in a row’; regarding a CV refresh, LinkedIn profile update, polishing interview skills and researching market and making new connections, in preparation for the business of landing the next role during the last quarter of the year, or perhaps into the first couple of months of next year. 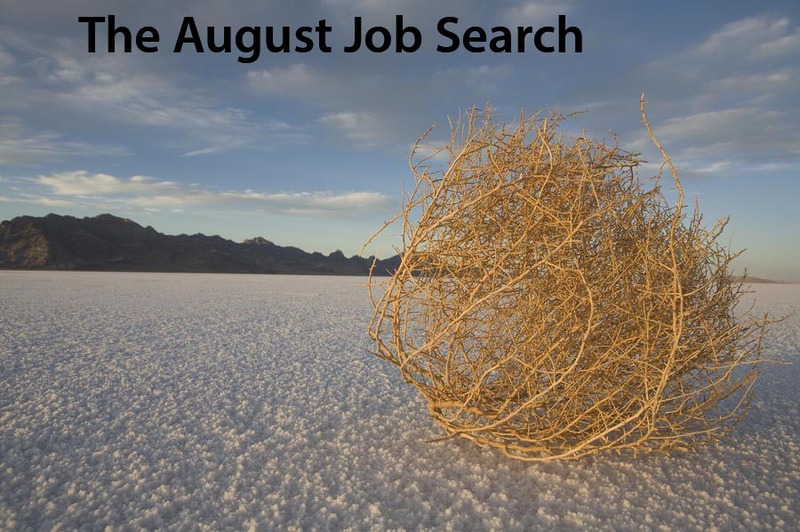 So if you’re a job seeking executive looking to spend the August job search period as productively as possible (given that you may also choose to take a bit of time away from the job search), this article was written as a personal letter to you. We found through independent research that it can take longer than expected to land your next ideal role (and it should be the ideal role, shouldn’t it?). This time factor can have a couple of unwanted job search side effects which I would advise you guard against; one being the diminishing bullishness or confidence levels that were prevalent a couple of months ago (or early in the job search, let’s say), the second is the reduction in aspiration effect, so maybe your salary expectations start to waver or you start looking at roles that you know are a rung or two below your capabilities. Some of these you can start to work on yourself without a shadow of doubt. Others may require some input from a trusted colleague or ‘critical friend’. That’s where we can help, but the truth of the matter is that I have no idea if we can help you or not – unless we talk first; to that end I would invite you to drop me a line to arrange a no obligation exploratory discussion. All you have to do is drop me a line at steve@executiveconnexions.com and we can get a confidential call booked. If the timing is not quite right, then I invite you to visit our home page and get your copy of our hidden jobs report, which will get you thinking about new ways of exploring the jobs market.